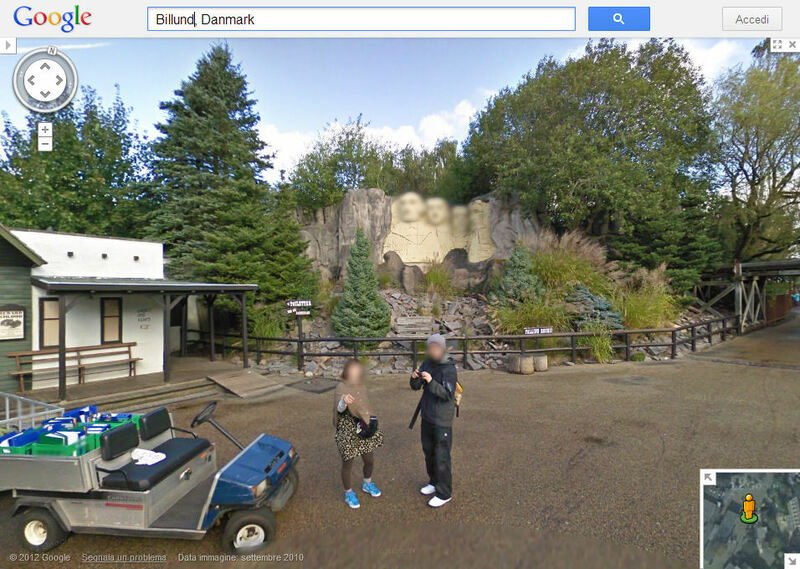 This a StreetView snapshot from Legoland. The face blurring algorithm has blurred out even the LEGO-built Mount Rushmore faces. 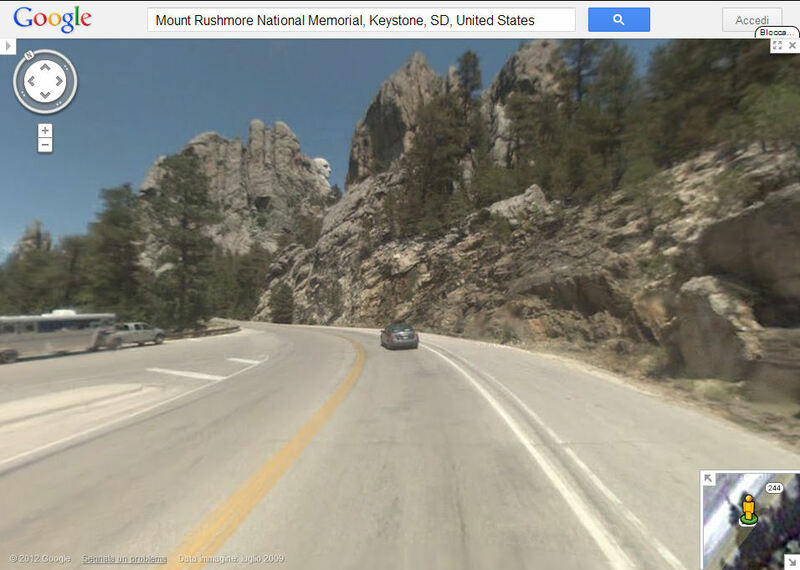 This could be either a tribute to the quality of the LEGO models engineers or an epic failure of the Google algorithm, since the real Rushmore itself is not blurred.